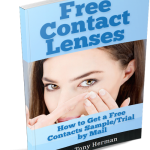 Your Free Guide to Free Contact Lenses and Samples! This article contains information from this book – for FREE! No need to order the book anymore – just read this page. Below (on this page – scroll down) is a complete guide and links to getting free, sample contact lens trials – either by mail or through your eye doctor. If you want to know how to get free samples of contact lenses, continue reading this article, which is about the same content we have in a published book but you’re getting this information for no charge. That’s right, this same info used to be in a book that people paid for but now it’s totally free right here on this page. And there’s even more on this page now than was in the book! Skim this page to find the sections you want to read and then soon you’ll be ordering your free contact lenses. All you need is right here – including the links of where to get them but don’t jump right to that section because we briefly explain all you need to know to receive them the right way. We’ve done this ourselves many times and we’ve helped lots of people get them. 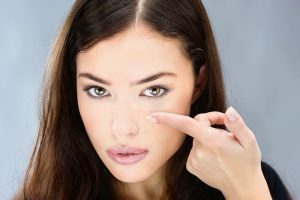 How to Get Sample Contact Lenses – The Links! Contact lenses you get today are actually classified as “medical devices” by the FDA (United States Food and Drug Administration). They can be used to correct vision, for aesthetic/cosmetic reasons or even for therapeutic use. With contacts (versus eyeglasses), you get better peripheral vision. When you wear contacts, you’re also easily able to wear other eyewear like sunglasses or goggles and are a great option for people who play sports. People with eye-related conditions such as astigmatism, hypermetropia and myopia can find relief when switching to contacts instead of glasses. The idea of them first came from Leonardo da Vinci, Descartes, and Thomas Young. Then, in 1949, the first kind of lenses were made, called “corneal” since they only sat on the cornea – instead of more of your eye. Today, there are many kinds including corrective, multifocal, monovision, cosmetic, and therapeutic (as mentioned), which you can change out monthly, daily or even wear overnight. Anyone considering wearing contact lenses should take advantage of free contact lenses because you get to try contact lenses before buying them and you can get free samples from many different brands. Below, you’ll find links to each website to go to for the trial lenses. Once you fill out the forms at each website, you’ll either get an email or certificate or coupon to print out. Print them all out. Oh yeah, you should sign up for as many offers as you can so that you can compare brands – that’s sort of the point of doing this… and saving money, of course! Free Trial Contacts Without Seeing a Doctor? In order to get your free contacts, you’ll need to make an appointment at a local eye doctor so that they can give you an exam and come up with the right prescription for your eyes. No, your eyeglasses prescription cannot be converted to a contact lens prescription without an eye exam. You’ll give the free contact lens certificates/coupons you printed to the eye doctor at your exam. You can get colored contact lenses but you’ll need a prescription for them since that’s the law. Contact lenses are classified as being “medical devices” by law and require a prescription. You will have to pay for this exam. You’re using the doctor’s time and experience, so that costs money. Expect to pay somewhere between $60 and $120 for an eye exam. Sometimes the best places to go are actually the Optical departments at local department stores. They have lower costs since they’re inside the larger store. Places like Wal-Mart, Sears, JC Penney, Target and others have Optical departments in most of their stores. Call each one and find out what the cost of an initial exam is (it’ll take 15 minutes or so), then book the one that’s the cheapest. An eye exam is simple and easy to get through. Feel free to bring a friend if you want (they can sit outside in the waiting area or else join you in the exam room). You’ll be asked to do things like cover one eye and read an eye chart or else look up and down while the doctor looks into your eyes. There’s even a glaucoma test that they might do with you. Make sure to bring your current or previous contact lens prescription if you have one and your pair of glasses if you already wear glasses. The exam takes about 20 minutes or so. Feel free to ask the eye doctor any and all questions that you have. It’s their job to answer those questions for you. If you have any problems with your eyes, be sure to mention that as well so that the doctor can do their best to help you. Once you have your prescription, you should go ahead and give your eye doctor the sheets you printed out. They can then order your sample contact lenses for you. Also, be sure to ask them if they know of any other brands you should try. If they do, then they will be able to place orders for those brands as well since they’ll have your contact information. If you think about it, an eye exam is a good thing. You use your eyes all the time and need them in the best of health and operating as best they can. When they get weaker, they’re working really hard. This stresses them and when a part of your body is stressed, it adds stress to your whole body. By taking care of your eyes, you can reduce some stress and that will most likely lead to better overall health. Also, at the exam, you get tested for things like glaucoma or other eye diseases. It’s best to get your eyes checked early to help detect and treat any eye problems you have as early as possible. The earlier the better. You’ll have the best chance of a quick recovery if these things are detected early. People often want to know if they can get free, trial contacts without seeing a doctor. If you have a current prescription, then you might not need an exam in order to get your free contact lens trials. You can just order them right away. Just follow the instructions that you receive from each lens company to find out how to do that. Your contact lens prescription is current if the date on it is less than a year old. You’ll get your lens samples one of two ways. That’ll be either in the mail with free shipping (at your house) or else for pickup at your eye doctor’s office. Expect them to take a week or so. Sometimes, your eye doctor might have some free sample lenses available at their Dispensary (at their office) and you might get them right away. That will depend on how common your prescription is and depend on how many they keep in stock. With some of the websites listed above, you’ll find they have several brands to choose from. Choose the kind that you’re interested in. Some websites also offer colored contact lenses – more about that in a minute. You might also be interested in getting contact lenses that are colored. This means the lenses have paint in them to help make your eyes look like a different color. There are two main styles of colored contacts: opaque and enhancement. 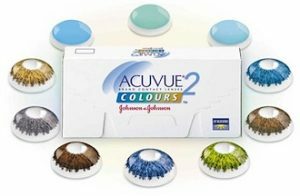 Which kind you get will depend on what color you want to try and what color your eyes naturally are. If you have dark colored eyes, like brown eyes, and want to go to a lighter color, then you’ll want to go with the opaque kind since they will block out the natural color of your eyes to make them appear lighter. 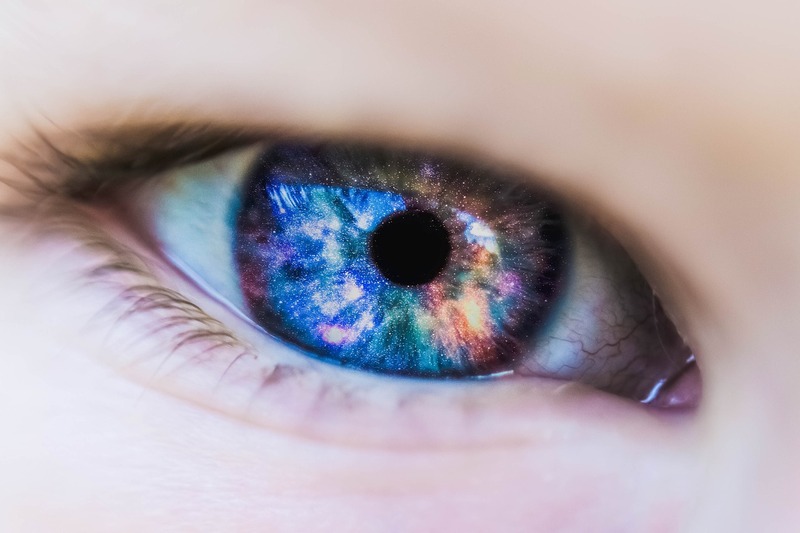 With enhancement tints, they let some of your natural eye color show through – so if you have blue eyes or gray eyes, then you can play with enhancement lenses for some interesting combinations. 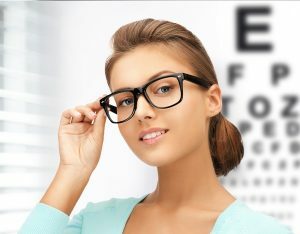 If you do not end up needing any magnification with your vision, then it’s possible to get non-corrective colored contacts (sometimes called non-prescription since there’s no prescription in them). Even with these, you actually do need a prescription from a doctor since contact lenses are considered to be medical devices by law. The magnification will be set to “0” (also called “plano” contact lenses) but other settings like the base curve might be filled in to ensure that the contact lenses fit your eyes (eye shape) really well. If you have astigmatism, that means you need toric lenses. They have small weights in the bottom so they settle in the right position on your eye. That way, the lenses line up correctly in the right position to provide the vision correction you need across your pupils. People with astigmatism can get free samples and they, in fact need to. It’s even more important for them to get free samples because the settings of the prescription might need to be adjusted in order to line up correctly. Very rarely is this done correctly the first time. You’ll need to go through 2-5 trial lenses before finding the right settings for your eyes. You’ll get the trials, wear them and then go in to see your eye doctor to get the prescription adjusted until they work perfectly for you. You should never share contact lenses with anyone – even if they’re colored contacts and even if you think you clean them really well. With every new pair of lenses, get a clean contact lens case. 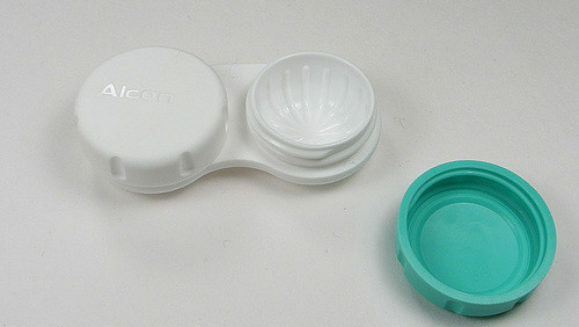 Before taking out your contacts, put new contact lens cleaning solution in the clean contact lens case. If the case looks dirty, try to rinse it out with cleaning solution or saline solution. If that doesn’t work, then grab a new case. Do not use your contacts past the recommended time. Usually, they’re good for 30 days. After that, there’s too much build up on them and they can irritate your eyes. Getting free stuff is fun! Contact lenses are a little different because they are medical devices – they’re not like getting free samples of pizza or ice cream but they’re not cheap, so getting them for free is great. With each pair you try, take some notes on them about how they feel. Note how long you can keep them in without them feeling dry. If a pair feels strange or irritates your eyes, then discontinue using them and go on to the next pair. At the end of trying all the sample pairs, you’ll know which brand your eyes favor and you’ll be more educated about which work best for you. That’s a huge benefit that not most contact lens wearers have! Enjoy your new contact lenses! Can You Put Two Contacts in the Same Case? Great, just follow what we say here (go to the websites of lens manufacturers) and you can order them there… enjoy! Good! Just do what this article says and you can get some sent to you. Hi Shyanne, sounds good. We’re not a lens manufacturer, so we can’t do that but just do the steps listed in this article and you’ll have them! Yeah, where it says, “How to Get Sample Contact Lenses – The Links!” is where the links are. People who want colored contact lens samples (which was stated on Palarma Contact Lenses) can also follow what is listed here to get them either by mail or at their local eye care center. Hi Amy, thanks for stopping by our website! Since we don’t manufacture contact lenses, we cannot send them to you but this article explains exactly how to get them, so please give it another look. I wouls like to try gray, blue, and purple of the ones that change the complete color of your eye color. Great. They look great on darker skin or really any kind of skin. Just do what the article here says. Enjoy! I will love a pair in hazel Thank you!! Hello my name is Victor Fuentes and Im Interested in recieving a free trial pair of contact lenses. 825 should is the rate of prescription on the my exam. Please send them to ****** New Bedford Mass. 02744. My email is *************@gmail.com. please email me with any questions. Thank you for your note but we don’t send them out. Please read the article over again to understand it.